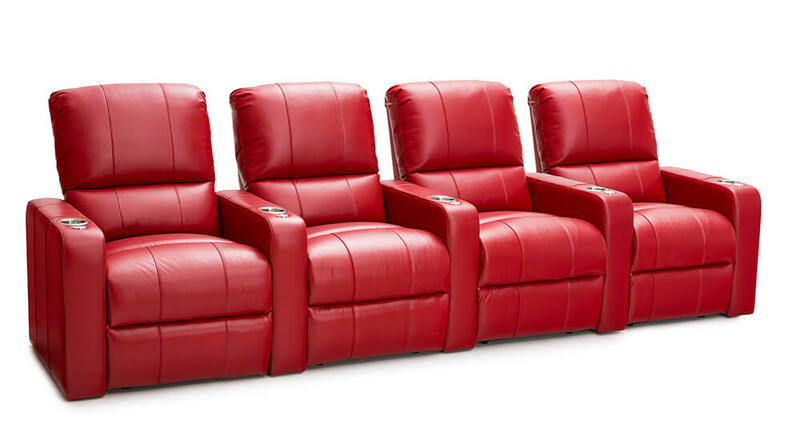 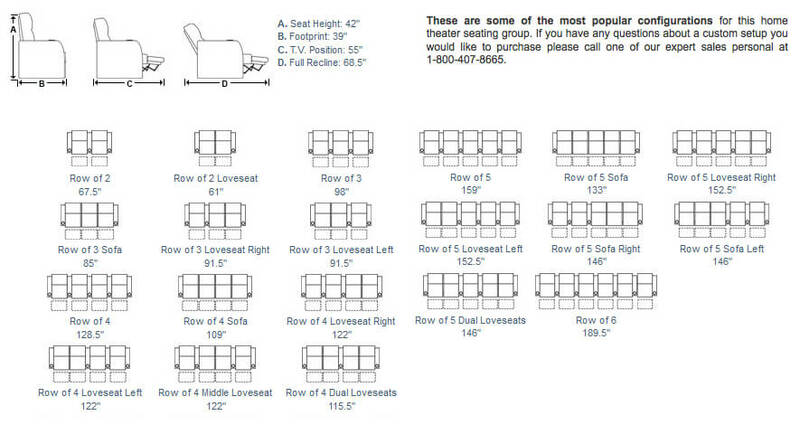 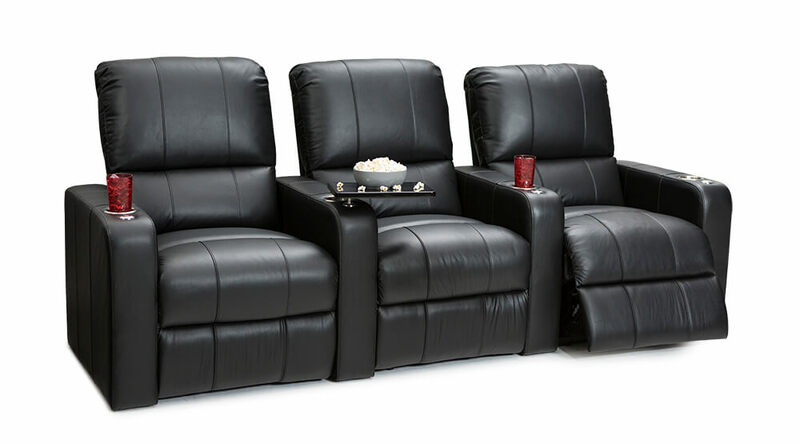 Regarded as one of our most comfortable designs due to its softly padded backrest with extra support for lower back, the Seatcraft Millenia home theater chair is a must-have home theater style chair. 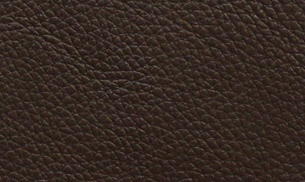 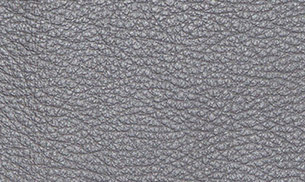 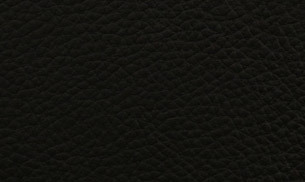 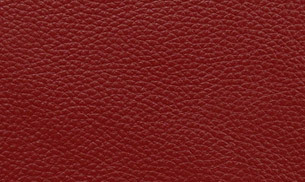 Choose from black, brown, gray, and red colors of our very fine leather 7000, chosen for its premium look, texture and durability. 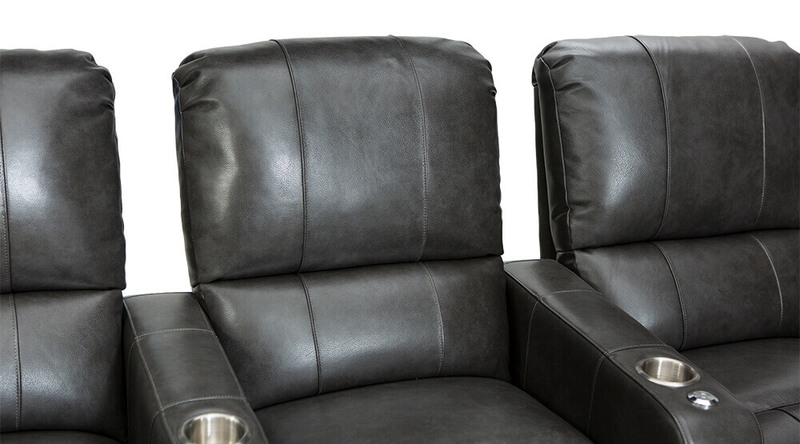 This chair has options for manual or power recline, both which will recline your seat and set up a comfortable position of your liking. 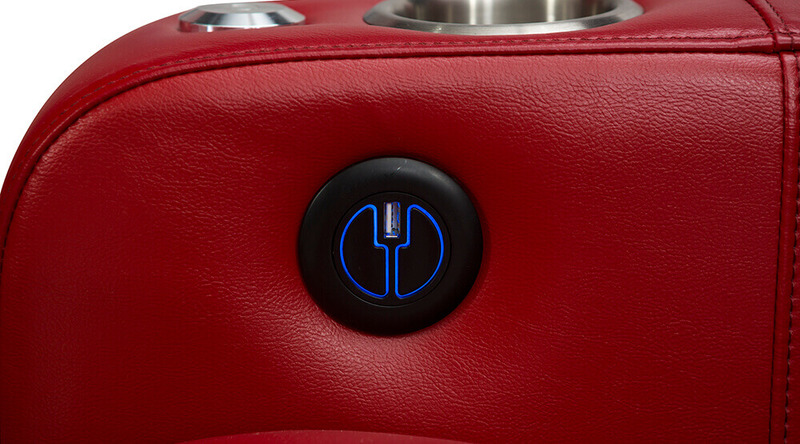 USB charging port is included to charge most devices. 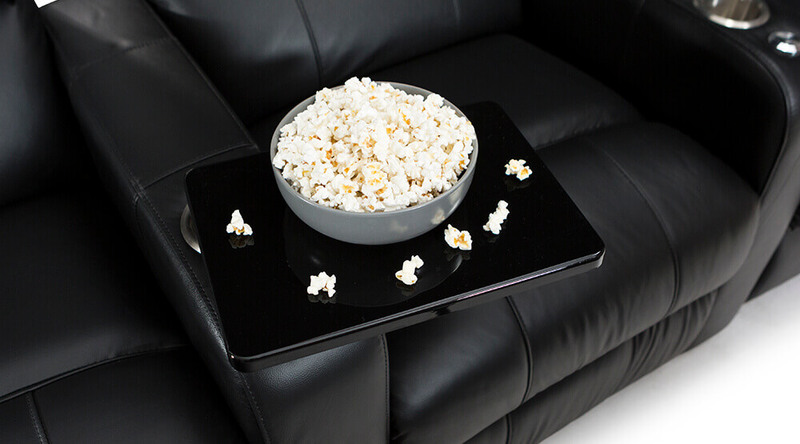 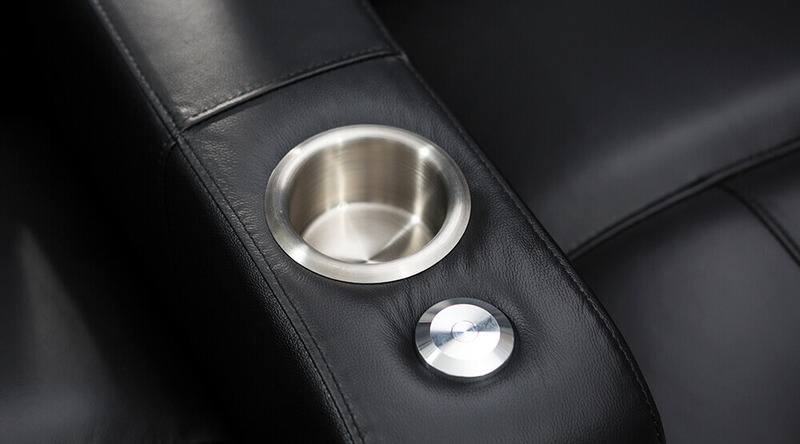 Armrest include stainless steel cupholders, and a grommet to place your FREE black tray tables. 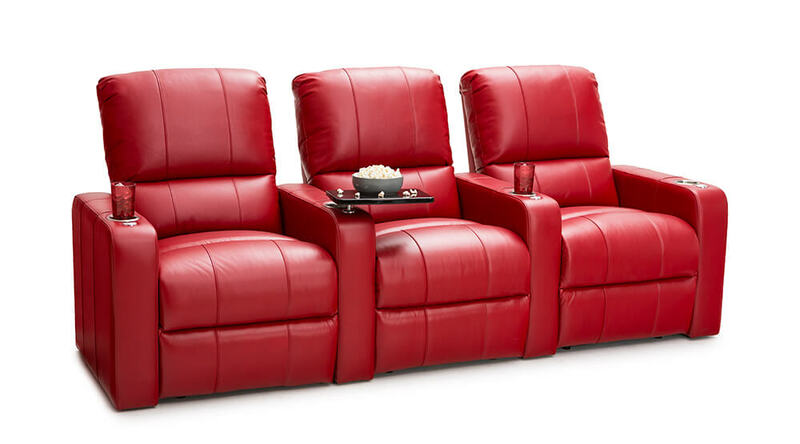 The Millenia’s combination of comfort and convenience offer the perfect contemporary finesse you need to complete your home theater experience. 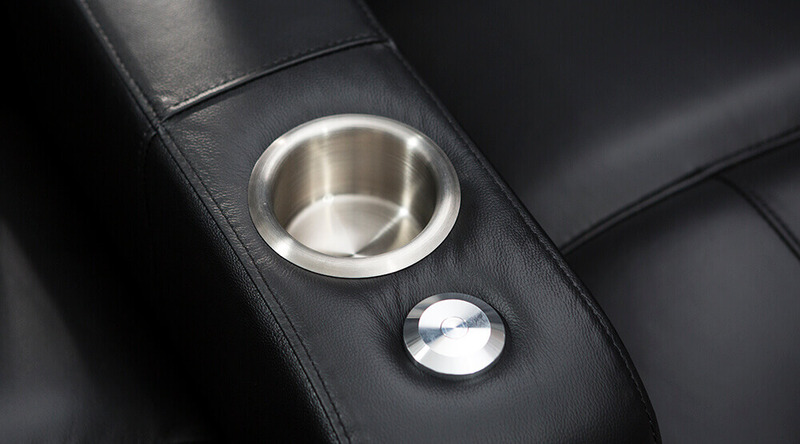 Safely place your drinks at an easy reach and a grommet to place tray tables or any other accesories avaliable for this seat. 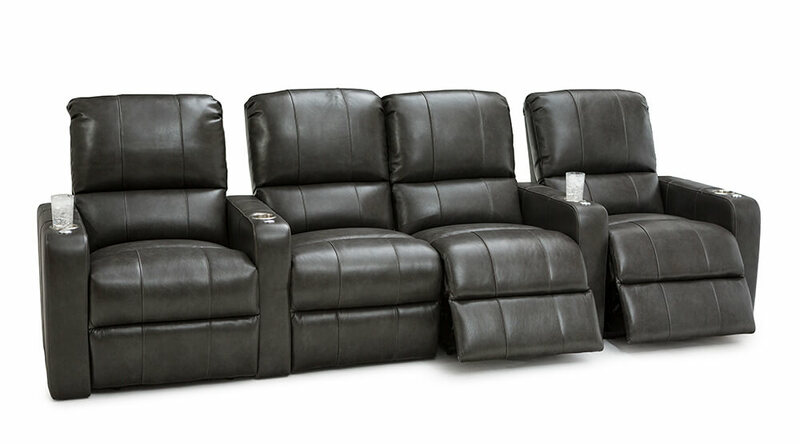 This backrest design is very comfortable due to it’s low back lumbar support and soft upper back to relax your head on.